Submitted by Frank Mascarenhas on November 29, 2010 - 1:47am. Wanzare,Robert,Fr.Freddie Alphonso ( Gone to the Lord ),Ronnie Pereira. 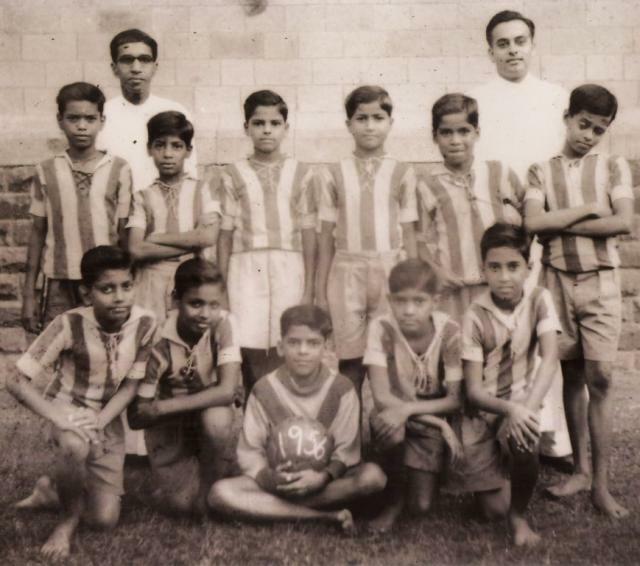 Kneeling ( L to R );Ernest,John Khandekar,Henry Homen ( Goal Keeper ), Is it Balsco Olivera or Lenny Braganza, --------?.